You need a rugged turning lathe that’s precise and reliable. 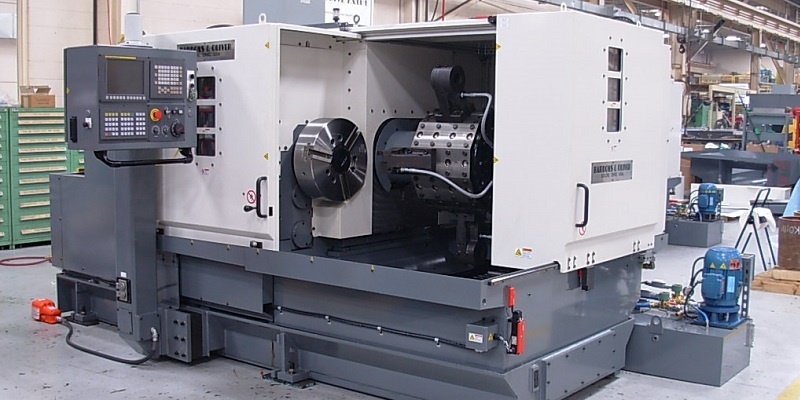 Our 2-axis horizontal CNC lathes/chuckers are heavy-duty machines designed specifically for heavy-duty cutting applications on large chucker-style parts. The compact design of the Bardons & Oliver column type CNC turning machine combines rigidity, tooling flexibility and heavy metal removal capability with exceptional accuracy. The column-style turning machines are built on rigid, heavy cast iron or composite machine bases and slides for maximum stability and durability. Heavy-duty, domestically built Bardons & Oliver 2-axis chuckers will handle your most demanding chucking work with ease. Producing custom engineered solutions for more than a century. Our employee-owners find custom engineered solutions to your most complex Machine Tool and Contract Tooling challenges.